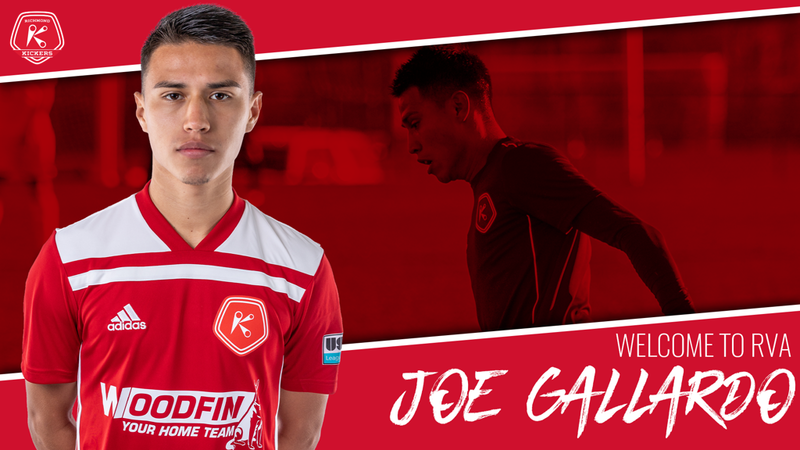 RICHMOND, Va. – (Thursday, March 21, 2019) – The Richmond Kickers are pleased to announce the signing of forward Joe Gallardo for the 2019 season, pending USSF and USL League One approval. Growing up in the Monterrey academy system until 2016, Gallardo made the move to the United States in 2016 joining the Orlando City U-17/18 Academy. In 2017, the San Diego native signed a contract with Orlando City B and went on to make seven appearances in the USL Championship. Gallardo has seen time with the United States U-15, U-17 and U-19 national teams. The addition of Gallardo brings the Kickers 2019 roster up to 21 players, including Amass Amankona, Charles Boateng, Greg Boehme, Matt Bolduc, Dennis Chin, Jannik Eckenrode, Akira Fitzgerald, Josh Hughes, Daniel Jackson, Aboubacar Keita, Eli Lockaby, Ivan Magalhães, Sam Moore, Mutaya Mwape, Maxi Rodriguez, Conor Shanosky, Scott Thomsen, and Braeden Troyer. Don’t miss a moment of the inaugural 2019 USL League One season at City Stadium! Order your 2019 Richmond Kickers Season Tickets and receive perks throughout the season including VIP Express Lane at the Craft Beer trucks and merchandise discounts. More details on 2019 Season Tickets can be found at RichmondKickers.com.